John is an international authority on life motivation, health, fitness, nutrition and athletic conditioning. As a former Olympic coach, John trained numerous Olympic athletes for both Winter and Summer Olympic Games spanning from 1976 to 1988. 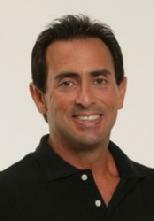 As an Inductee into the National Fitness Hall of Fame, John has regularly appeared on television and radio shows since 1985 reaching millions of households globally, and establishing himself as one of the most visible motivational educators’ for legions of athletes, coaches and fitness enthusiasts. John is also the creator of Androzene® the all-natural male performance supplement, the NO EXCUSES™ Workout and Award-Winning AB-DOer®. John's newest releases include Make Your Body a Fat-Burning Machine™, Vital Living From The Inside-Out, Brain Sensation & Motivation, Ultimate Sexual Health & Performance™, AB-Ology™; the science of getting lean and strong, and Ultimate Sexual Health & Performance™. Proud to be 60 years young, John is an empowering and prolific teacher, mentor, success-coach, and inventor who promotes a myriad of healthy principles for achieving success in all areas of personal and professional life. If only one word was needed to describe John Abdo, it would be Dynamic!